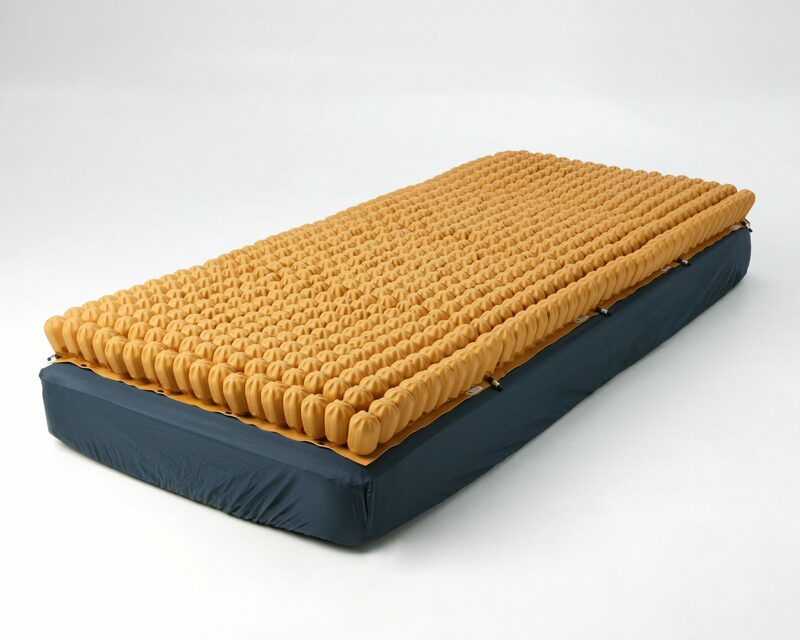 The StarMatt Overlay is a four section, therapeutic, air adjustable mattress overlay featuring 180 air cells per section for a total of 720 air cells throughout the entire system. As the individual becomes immersed into the StarMatt, they benefit from a high resolution, low pressure, low shear support surface that conforms to the unique contours of the body, providing an ideal environment for the healing of up to and including a Stage IV pressure ulcer. The StarMatt is non-powered, lightweight, and able to be cleaned with antibiotic soap and water. It provides a cost-effective solution to the prevention and healing of pressure ulcers. The StarMatt accommodates a standard hospital sized mattress while also featuring custom sizes and special configurations ranging from Pediatrics to Bariatrics. 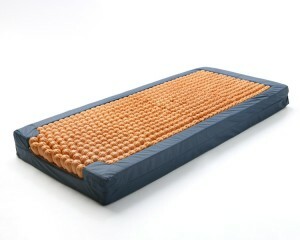 A carrying bag and mattress cover are available accessories to the StarMatt Overlay. The StarMatt Mattress Replacement System combines the high-end benefits of multi-celled air technology with a custom foam mattress. Underneath the 4” air cells, the mattress features a 3.5” thick layer of therapeutic foam to add patient lift and prevent bottoming out. The mattress system has an overall thickness of 7”, with four adjustable air sections that fit within the mattress perimeter. Having the air sections slightly narrower in width, side bolsters are added, allowing increased safety and easy patient transfers. The StarMatt is non-powered, lightweight, and the adjustable air cells are able to be cleaned with antibiotic soap and water. The StarMatt accommodates a standard hospital sized mattress while also featuring custom sizes and special configurations ranging from Pediatrics to Bariatrics.